You shouldn’t count your chickens before they hatch. Because that’s how your chickens end up scrambled. And now, for those mornings to beat all mornings, you don’t have to rely on just some crappy to-go coffee cup – opt instead for ideally designed coffee delight in matt black. 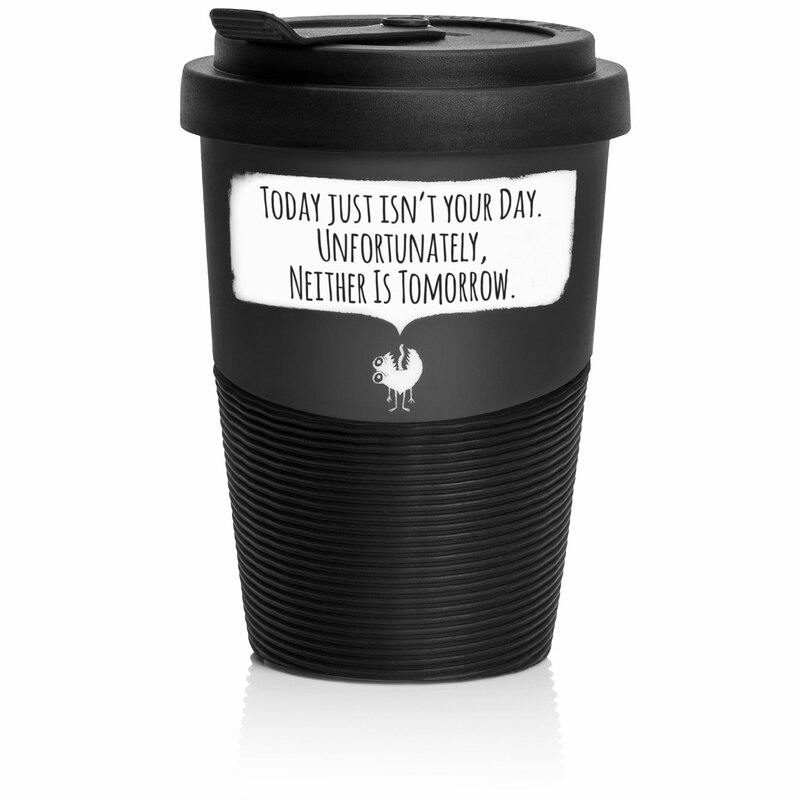 Whether you’re at work, on the go or at school – tell it like it is. Maybe loudly, maybe quietly, but always with lots of class in Pechkeks style. Quality made in Germany, you know? 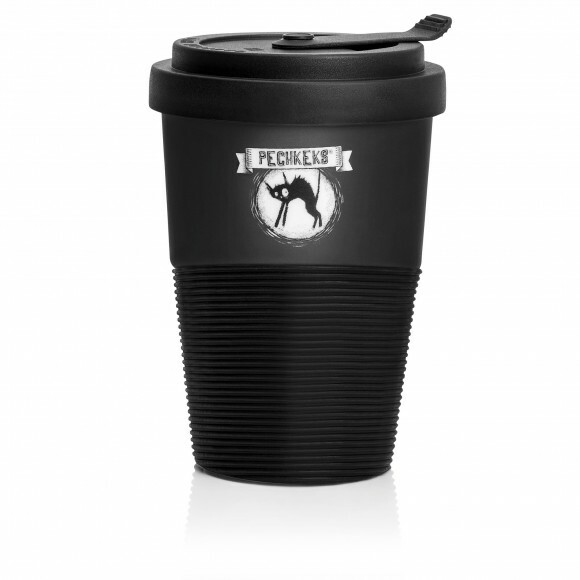 It fits wonderfully in your hand and the rubber lid with opening for drinking provides for drip-free enjoyment. And what’s on the back, you ask? 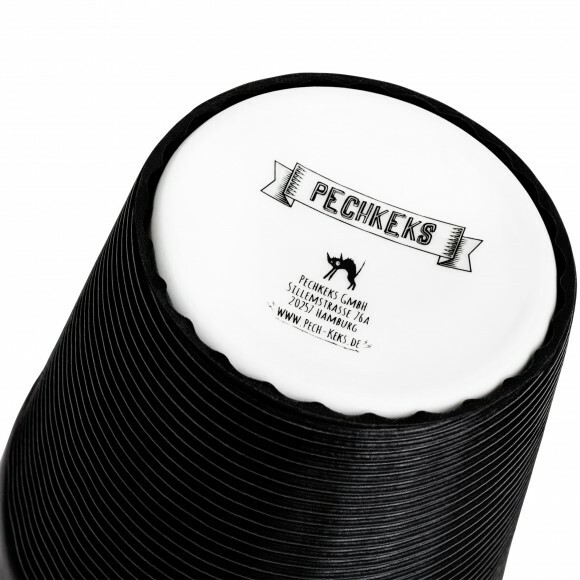 Our logo – the Pechkeks cat.